A Franklin man was released from jail earlier today after posting bond on several serious felony charges stemming from an incident in Franklin’s Westhaven Subdivision, Friday. On 07/24/2015 at 9:20 pm, officers were summoned to the subdivision’s basketball courts, located at 401 Cheltenham Avenue, after several airsoft pellets were fired into a crowd from a passing vehicle. FPD Flex Unit Officers who were in the area stopped the suspect vehicle moments later. Inside they found an AR-15 replica airsoft gun and several magazines. The driver, 18-year-old Caleb Starnes, and his juvenile passenger were both arrested and charged with four counts of Aggravated Assault and four counts of Reckless Endangerment. Starnes, who was also charged with Contributing to the Delinquency of a Minor, was released today after posting a $100,000 bond. He is due in court on 08/06/2015 at 1:00 pm. 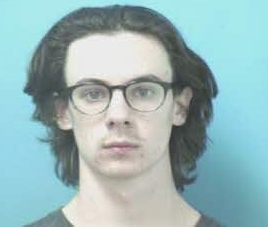 Information on the juvenile suspect is being withheld in accordance with TN law. Four juveniles were struck by airsoft pellets during the incident. None of them were seriously injured. Some airsoft guns are extremely realistic looking. In fact, it is nearly impossible to tell the difference between some airsofts and a real firearm. Airsoft guns should never be pointed or shot at anyone, and doing so can obviously result in very serious criminal charges. Released: 07/24/2015: Franklin Police are offering a Crime Stoppers reward of up to $1,000 for information leading to the identity and arrest of this shoplifter. At 9am on 07/20/2015, the man filled his cart with more than $300 worth of toys and pushed it out of the store without ever stopping to pay. He drove away in an older model, 4-door silver car. Call Crime Stoppers if you know who he is: (615) 794-4000. 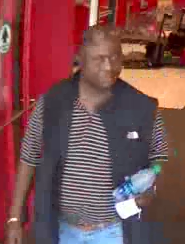 Franklin Police want to identify this man, wanted for stealing three boxes of perfume from the Galleria Boulevard Target in Franklin. The 07/14/2015 theft totaled more than $200. The suspect left driving a white Dodge minivan. Information about his identity is worth up to $1,000 with an anonymous call to Crime Stoppers: (615) 794-4000. Detectives are seeking information on the identity of this man, wanted for using a cloned credit card at a Mallory Lane Kroger and Walmart in Cool Springs. The suspect used the cloned card to load more than $600 onto gift cards at the stores. Information about him is worth up to $1,000 with an anonymous call to Crime Stoppers: (615) 794-4000. Mrs. Myrick is in the process of being reunited with family after encountering a good Samaritan near Old Hillsboro Road. The good Samaritan felt that something was not quite right after Mrs. Myrick pulled onto a remote property in the area, and so she stayed with her until authorities arrived. Mrs. Myrick, now safe, is doing just fine. Franklin Police have issued a Silver Alert for 80-year-old Jean Myrick. She unexpectedly drove away from the CoolSprings Galleria in a 2006 off-white Cadillac crossover with TN license plate 499 PFK. The vehicle is unique in that it has a sunroof that spans nearly the entire roof of the vehicle. Mrs. Myrick is 5’7” tall and weighs 140 pounds. She has white hair, brown eyes, and is wearing glasses. She was last seen wearing a foam green shirt and pants. If you see Myrick, call police. Nationally, one in three traffic fatalities are a result of an alcohol-impaired driving crash. Friday night, 07/24/2015, the Franklin Police Department will conduct a sobriety checkpoint on S. Royal Oaks Boulevard. In 2014, the Tennessee Governor’s Highway Safety Office awarded the Department with a $50,000 grant to use for anti-DUI initiatives including DUI checkpoints, saturation patrols, training, equipment, and overtime for officers working this checkpoint.